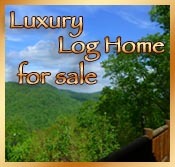 Georgia's Blue Ridge has hundreds of mtn getaway cabins to choose from. Directions: Take Old 76 (do not confuse with 515-76) in Blue Ridge, Fannin County Georgia to Aska Road, go south from Ace Hardware on Aska Road eight miles to Stanley Creek and turn right. You'll follow this road through a long narrow valley for three miles past historical site Forest Warden Garfield Stanley's house, crossing a small wood bridge park on right and follow trail at least .5 mile to falls. A small trail leads off to the right to reach the lower falls, continue on main trail further to reach top of falls. Slippery and always wet, exercise caution at all waterfalls. 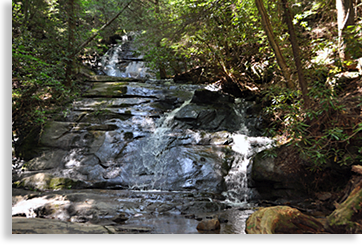 This popular destination in the Cohutta Wilderness Area requires the longest walk of all falls in Fannin County. Directions: The easiest access is a 9.2 mile hike from Dally Gap along the Jacks River Trail. Long Creek Falls is the most popular of the Fannin County waterfalls, you can find Long Creek Falls by hiking down a short side trail from the combined Appalachian-Benton MacKaye Trail. Long Creek Falls total is approximately 50 feet in two different drops. A leisurely 30 minute hike to the falls is uphill on the way in, downhill on the way out. Directions: Turn right at the end of Newport onto Doublehead Gap Road; go to FS 42 and turn left. Go to the intersection of FS 42 and 58 and turn left on 58 to the see the falls.